Let your Happymess teacher guide you through the entire process of making your own "mess"terpiece. 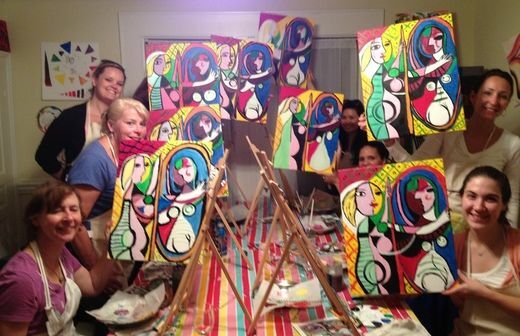 Happymess provides all supplies needed as well as a happy-go-lucky environment –- or can host an art class or group team-building event at a venue of your choice. 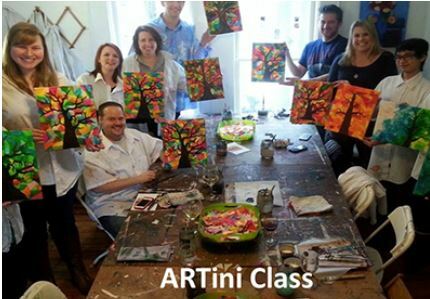 Come as an individual, bring a friend, or schedule a private class for your group. Classes available for children to seniors. 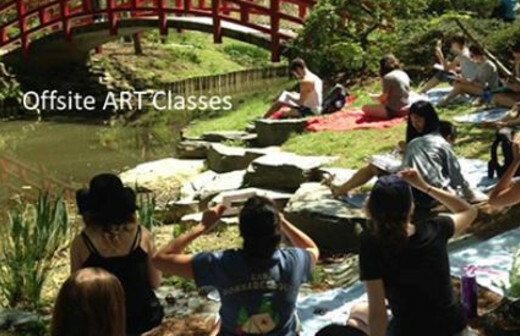 In addition to popular painting classes, Happymess Art Studio offers art classes in a wider variety of artistic mediums like Collage, Batik, Printmaking, Drawing, Watercolor, Encaustic Wax Painting, Mosaic, Jewelry, Pastels and much more. Happymess students enjoy instructor led classes where they are guided to create their own “mess”terpiece with as much or as little assistance as requested. 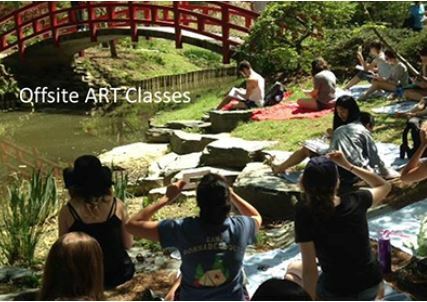 All teachers are local artists that delight in sharing their knowledge and passion with you. All you need to bring is your enthusiasm, snacks, drinks (alcohol permitted). Happymess provides the rest: art supplies, aprons, wine glasses, music and whatever else you might need. Come join us for a fun-filled art class. Business Hours: Art Supply Shop Hours:M-F, 12-6pm; Sa, 10am-5pm.